How do solar panels convert the suns energy? If you put a silicon cell in the sunbeam’s path, the cell catches the energetic photons and turns them into a flow of electrons. These electrons can be forced to flow around an electric circuit when combined with other electrical components. The end result is the ability to power your businesses, or home. How long do solar systems last for? A solar system built with high quality materials and proper construction techniques, that also receives proper maintenance, can last for 25 years or more. There will be some planned maintenance during the life of the system. SEM Power provides O&M services and we offer our customers visibility to their system performance / energy output. Our energy team will review your energy bills to evaluate how much solar you need and how much can be placed on your roof, land, or carport. A 500kW system requires approximately 50,000 sq. ft. of roof. Do I own the solar system? Systems can be purchased by the customer, or they can leased; for the customer to buy the energy without owning the system. SEM Power will work with you to determine the right financial approach to your new energy solution. What are the typical warranty periods? A solar project should include equipment warranties from the equipment manufacturers and workmanship warranties from SEM Power who does the installation. How much can your business save with solar? The potential savings generated from a solar project depends on several factors, ranging from the monthly amount you spend on energy, the amount of solar that can be installed at your business, the production potential of the system, the utility your facility is in, and the incentives (tax credits) you take advantage of. With enough area for solar, a business can offset all their electric bills. SEM Power will work with you to evaluate your bills and the other factors to consider, then propose the optimal system size that is tailored specifically to meet your energy needs. What are all the benefits to go Solar? Functional benefits for solar carport customers include weather protection and shading. Sustainability goals can be met in an ever-changing energy ecosystem. These goals include reducing greenhouse gas emissions and offsetting your carbon footprint. Customers who decide to go solar will have predictable energy costs that are stabilized and controlled for the life of the system. Reliability is significantly increased for customers who pair solar with battery. Customers who take this approach will now have reliable and affordable availability of power whenever it is needed. Companies that have invested in solar will have the opportunity to communicate their commitment to providing a clean, safe energy demand resource. What information is required to get an accurate solar quote? Once you contact SEM Power and request a quote, the company will need to know the business address where you plan to install solar and will need to see copies of the past 12 months energy bill. SEM Power will handle asking you all the questions needed to execute a successful solar project. Once we understand your goals, we will process the information necessary to design an energy solution that performs and meets your expectations. How do I know if there is a problem with my system? Each system is able send data to a monitoring platform that will be included with your solar system. Sem Power’s O&M team constantly monitors customer installed systems to detect long term and short-term changes in system production that might indicate a problem. The data helps us quickly diagnose the issue to schedule a service call. Customers can also track system production and set up system alerts, even to their mobile phone. This service is offered outside of the standard installation process. How much system maintenance is needed? 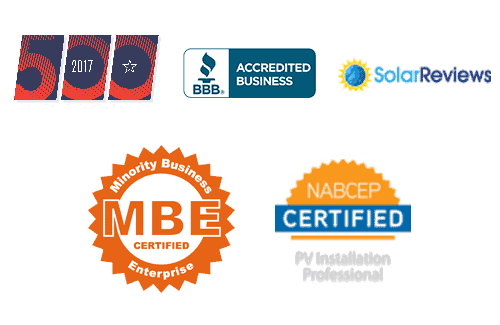 Once a Solar system is installed, we recommend that system be inspected on an annual basis. This will ensure any potential issues can proactively be mitigated saving the owner from lost production and more costly repairs if nothing is done. Your SEM Power professional can answer additional inquiry. What are the ways to finance my solar / Battery storage project? Solar and battery projects can be purchased directly outright, via a loan, or through a solar lease. SEM Power will work with you to determine which financial solution will work best to solve your energy need. What are the benefits of a Solar / Battery system to be purchased outright? An outright capital investment will provide the greatest savings for a Solar and Battery storage system owner. The system owner can also utilize all the available tax credits. In Florida there is currently a federal investment tax credit (ITC) of 30% There are additional state, municipal, and tax incentives that your SEM Power professional will work with you to take advantage of. Our goal is focused on maximizing your financial benefit. What is the deadline for the Federal Investment Tax Credit? Now is the time to take advantage of Solar and Battery energy storage systems before valuable tax incentives disappear.